Makes adding API Integration to your daily workflow a breeze. 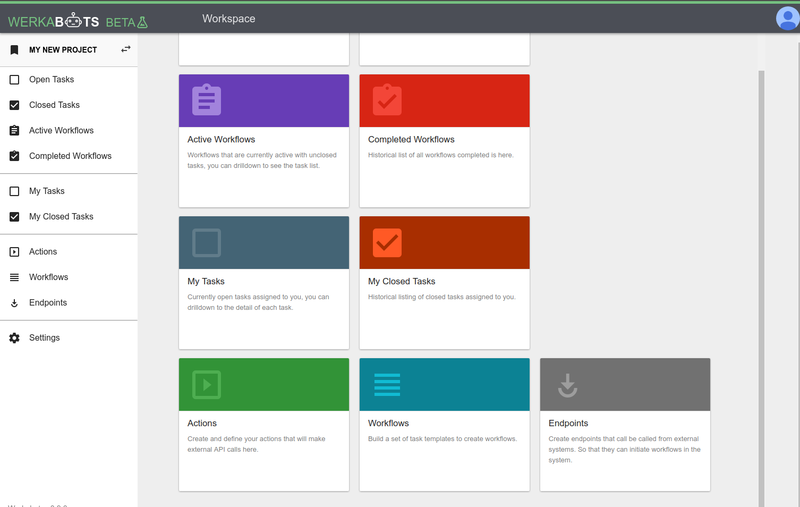 Our simple interface lets you easily add automated workflows that links up existing and new systems. With the WerkaBots API you can easily add tasks remotely from another system. By setting an action on close of a task you can make calls to external APIs and pass on any payload to another system. A workflow will link up a number of these tasks, allowing for seamless automation in your processes. Super easy to track the history of a task or a workflow! In flight workflows give details which task the job is at. Historical reporting givies details of API calling activity and results.